Bobby Singh came round in the morning and took me and a carload of wood from my garden to the tip. The garden is still a mess, but at least it does not have a big pile of former front door and furniture. 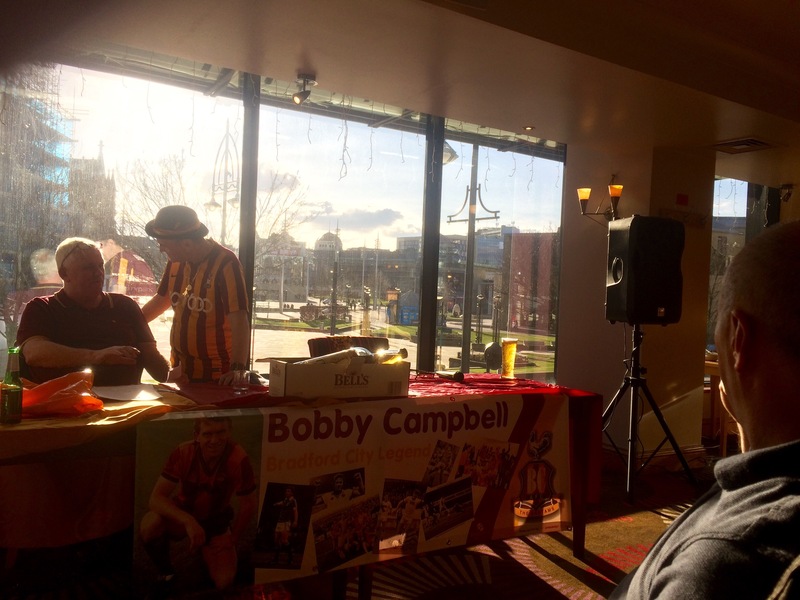 Bobby Campbell, Bradford City’s record goalscorer, hopefully with pictures this time! No person passes away whilst the love they created still feeds the memory of those who can still remember. 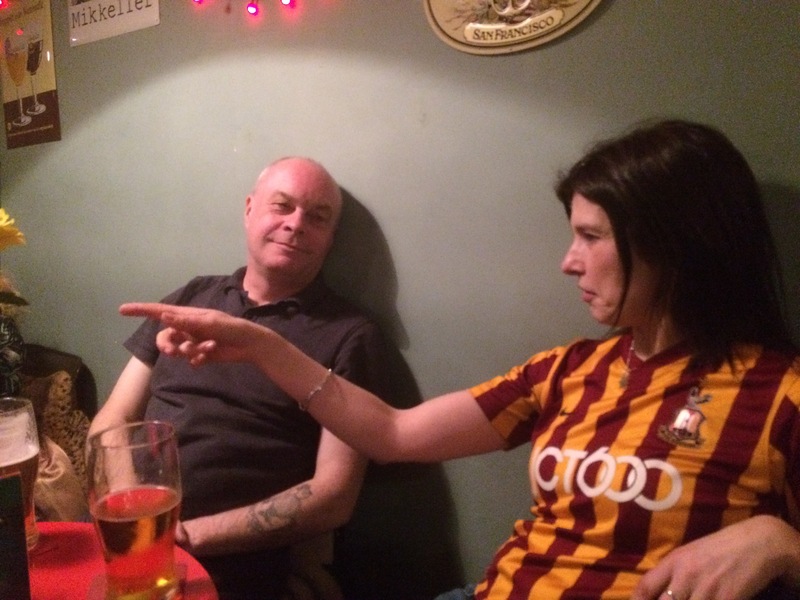 In Sparrow with Dave and Catherine. Talking about why Les Hall needs to stay home and rest next week. Bobby Cambell at Ginger Goose. 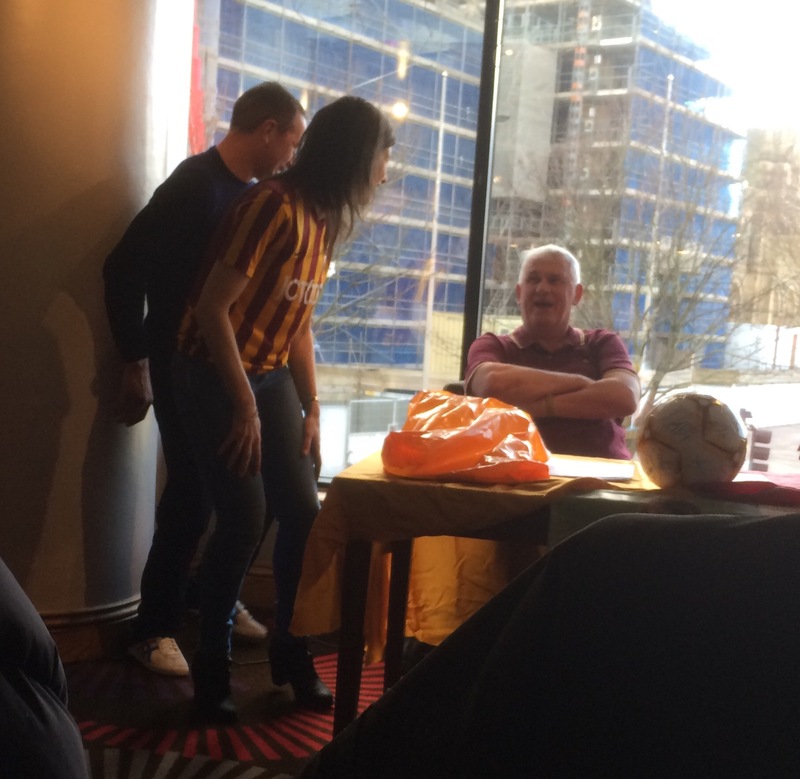 Bradford City’s record goal scorer. In Record Cafe. Many things discussed. Morris Wilson MC, Bradford man, conquered Everest? In 1934 after deliberately ‘landing’ his Gypsy Moth into the side of the mountain. Morris Wilson Day? 21st April ( 1898 born) or 31st May (1934 died)? Happy film of my mum just a week before she passed away.